Forget buying elderberry syrup in the health food store. You can make your own Instant Pot Elderberry Syrup with just a few ingredients and save money too. 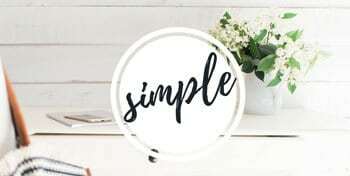 I’ll share my simple elderberry syrup recipe with you. 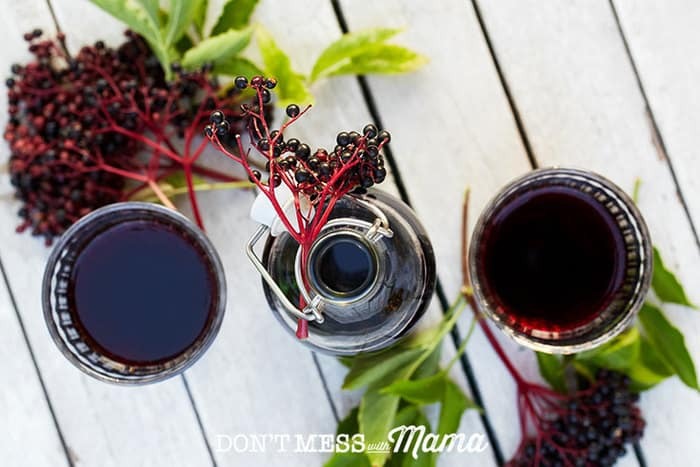 One of the best things I’ve done for my family for years is use elderberry syrup anytime we’re feeling a bit off. Whether it’s the cold, flu, or just trying to boost our immune system, elderberry syrup has rescued our family so many times. But here’s the thing… if you’ve ever bought elderberry syrup in the health food store you’ll be paying $20 or more per bottle that’s usually just about 8 0z. Or if you’ve made your own elderberry syrup, it can take a long time in a slow cooker or stovetop. 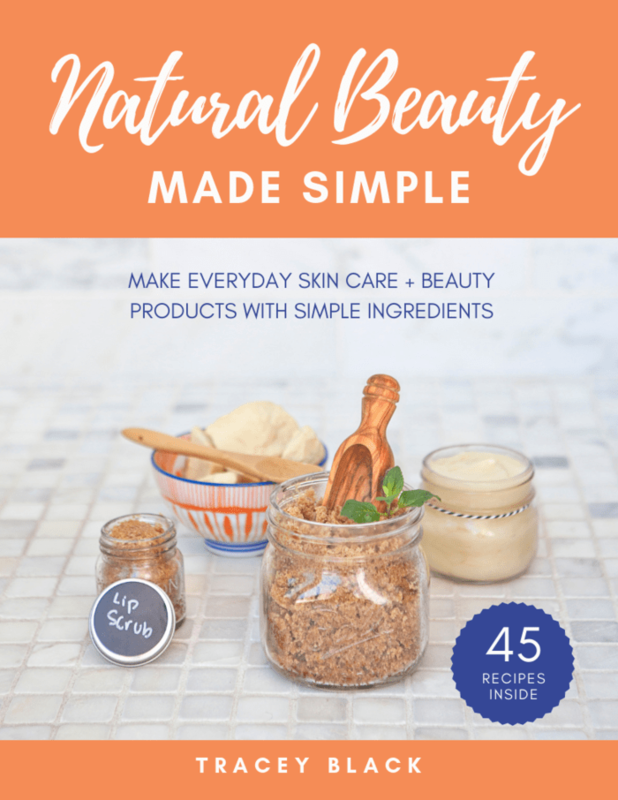 That’s why I wanted to find a way to make elderberry syrup in my favorite kitchen appliance… the Instant Pot. This recipe was inspired by my friend Stacey who made it and I tweaked it a bit to add more immune-boosting properties. Before we get to the recipe, have you cooked with an Instant Pot yet? It’s basically an electric pressure cooker, but really easy to use. Much easier than a conventional pressure cooker, which I was always scared to use. 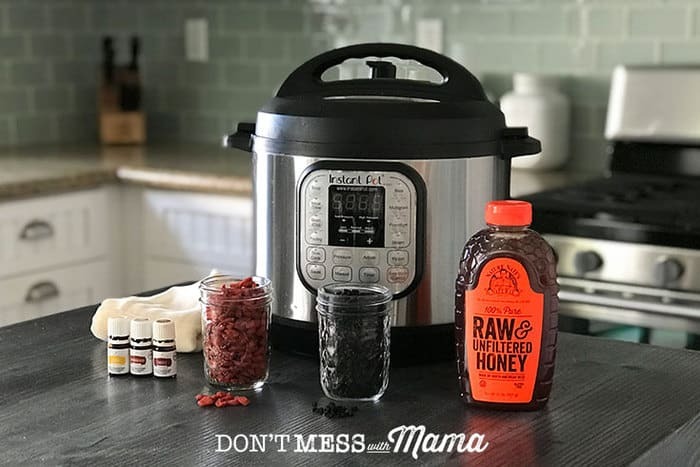 What I love about the Instant Pot is that it’s a 7-in-1 Multi-Functional Cooker – including a pressure cooker, slow cooker, rice cooker, saute/browning, yogurt maker, steamer and warmer. Plus, it has a stainless steel cooking pot and steam rack – LOVE that! I have literally gotten rid of my old slow cooker and yogurt maker because I can do it all with the Instant Pot. 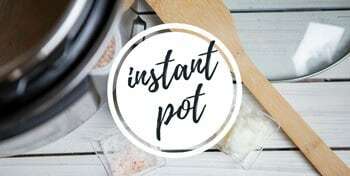 Looking for Instant Pot recipe ideas? Check out my top 50 gluten-free and Paleo Instant Pot recipes. You can also follow my Pinterest board all about Instant Pot recipes too. 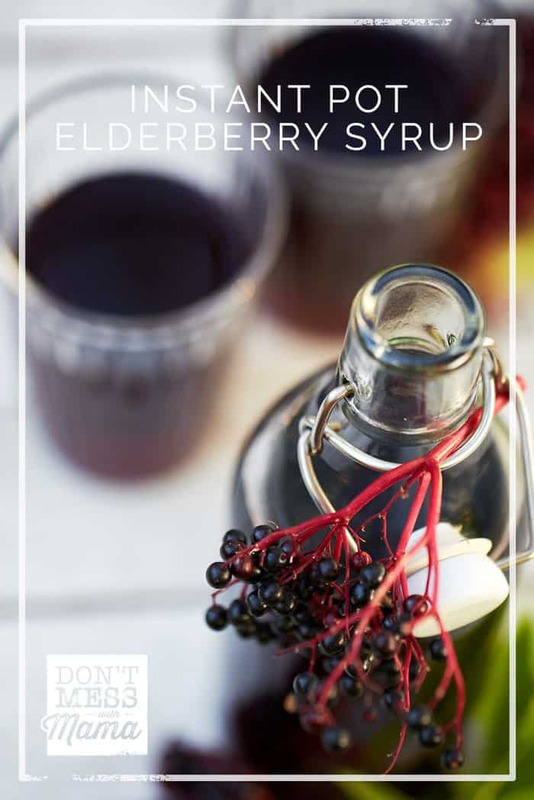 Ready for the Gluten-Free Instant Pot Elderberry Syrup recipe? It’s so easy to make. You’ll be done from start to finish in about 20 minutes. Are you struggling to find the time to cook healthy meals for your family? Do you wish you could find one-pot meals that are simple and easy to make… and your family will love? 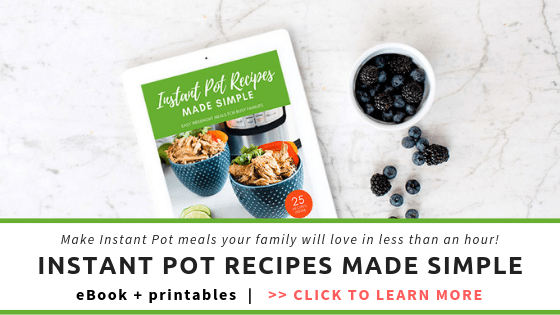 You’re about to find out how simple it is to make healthy, one-pot meals with your Instant Pot with my cookbook Instant Pot Recipes Made Simple. 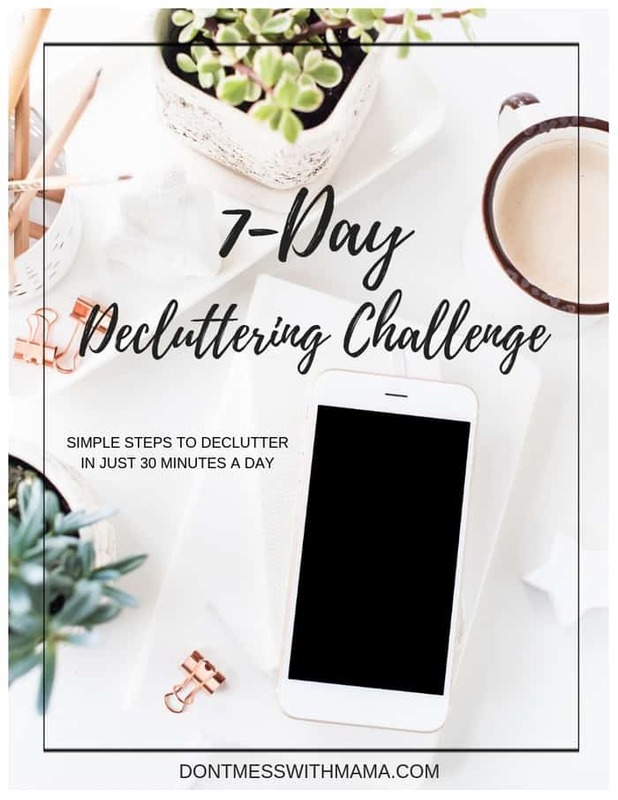 You can download it instantly to your phone, computer or e-reader, so it’s portable and can go with you anywhere! Elderberries are loaded with antioxidants, vitamin A, vitamin C and folate that can help to reduce the symptoms and the duration of the cold, flu, and boost the immune system. There’s been a number of studies on the effectiveness of elderberry syrup and extra. In one study, people with flu-like symptoms and took 15 ml (about 1 tbsp) of elderberry syrup 4 times a day had improved symptoms 4 days before the placebo group. There are numerous studies that show similar results. I’ve noticed that I’ve been able to stave off a cold before it even starts as soon as I start to feel off. Or when I do get a cold or the flu, taking 2-4 tbsp of elderberry syrup help me to get over being sick faster. I give it to my kids too. During cold and flu season, we just take 1 tbsp as an everyday preventative measure to boost our immune system. This Instant Pot Elderberry Syrup is so easy to make and it’ll be ready in less than 20 minutes. First, start with dried elderberries. You can get them from a health food store or I get them on Amazon. Don’t use raw elderberries – they need to be dried out to remove the seeds, leaves, and bark. You just want the berries themselves. Add the elderberries to the Instant Pot, along with water, orange zest and juice and cinnamon stick. Cook on high pressure / pressure cooking for 10 minutes. Do a release and then strain the elderberry syrup to remove the berry pulp. I actually save the berry pulp to use in my smoothies to add an extra boost of antioxidant power… and it’s really tasty too. Add raw honey and essential oils to the syrup. It’s important to do this after you cook the elderberries in the Instant Pot, as adding them during the cooking process can remove the antioxidant properties in the honey and essential oils. 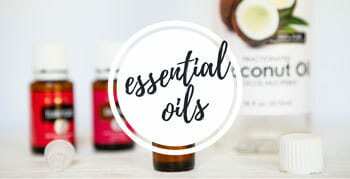 I’ve added Lemon and Thieves (a blend of cinnamon, clove, lemon, eucalyptus and rosemary) essential oils to this recipe as they are loaded with antioxidants like d-limonene that help to keep the immune system healthy. You could even add a drop of Thieves to a spoonful of raw honey to get a similar benefit as a spoonful of elderberry syrup. I do both to cover my bases and keep my immune system strong. 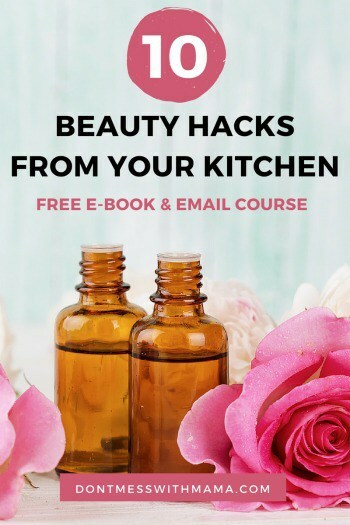 After you’ve added the honey and essential oils, just divide the syrup into glass containers like Mason jars and store in the refrigerator for up to two months. I find this batch lasts about a month, so if you have more people in your family or want it to last a little longer you can easily double the batch. Forget buying elderberry syrup in the health food store. You can make your own Instant Pot Elderberry Syrup with just a few ingredients and save money too. Add all ingredients except honey and essential oils to the Instant Pot and set for manual / pressure cooking on high for 10 minutes. Do a quick release. Strain the syrup into a large bowl to remove the berries. Add raw honey and essential oils, and mix well. Pour into glass Mason jars. Store in the refrigerator for up to a month. Enjoy 1-2 tbsp each day for a healthy immune system. You can store this homemade elderberry syrup in the refrigerator for up to 2 months. If you’re taking a spoonful or two each day you’ll easily consume it within a month. So double the batch as needed. You can take 1 tbsp up to 4 times a day to help with symptoms of the cold, flu or even to boost the immune system. Another great recipe is to make these Cold and Flu Elderberry Gummies. It’s a great option if you’ve got kids who don’t want to take elderberry syrup. 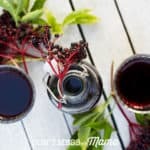 Did you try this Instant Pot Elderberry Syrup? 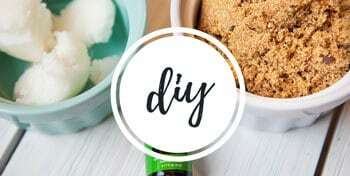 Don’t forget to rate the recipe and comment below to let me know how it went. 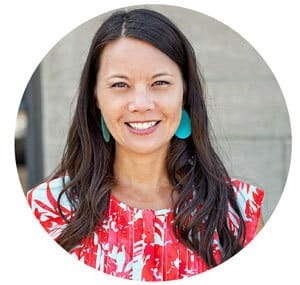 You can also FOLLOW ME on Facebook, Instagram and Pinterest to see what other fun things I’m getting up to. 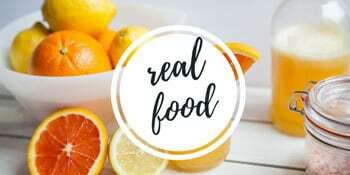 Eat healthier in just 7 days with my real food guide and email course. You'll learn how easy it is to go gluten-free and still enjoy the foods that you love.